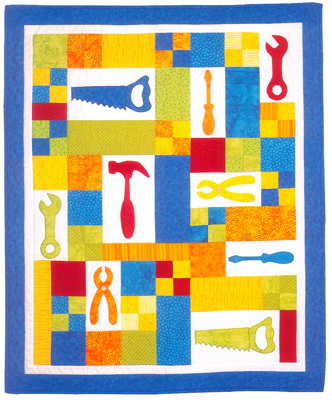 A delightful little boys quilt! This delightful quilt has been designed by The Country Quilter who have one of the best selection of children's quilts that we have seen and we are delighted to be able to offer the patterns to you. The easy applique techniques can be made by hand or on the machine, depending on your preference. Size 36 x 44 inches.